#IFeelBetterWhen I look after my plants. Aren't cacti just wonderful? I always dress mine up. He's ready for the cold and rainy weather in this photo. I wasn't living with other students when I did my undergraduate degree so at times things felt a little isolating. 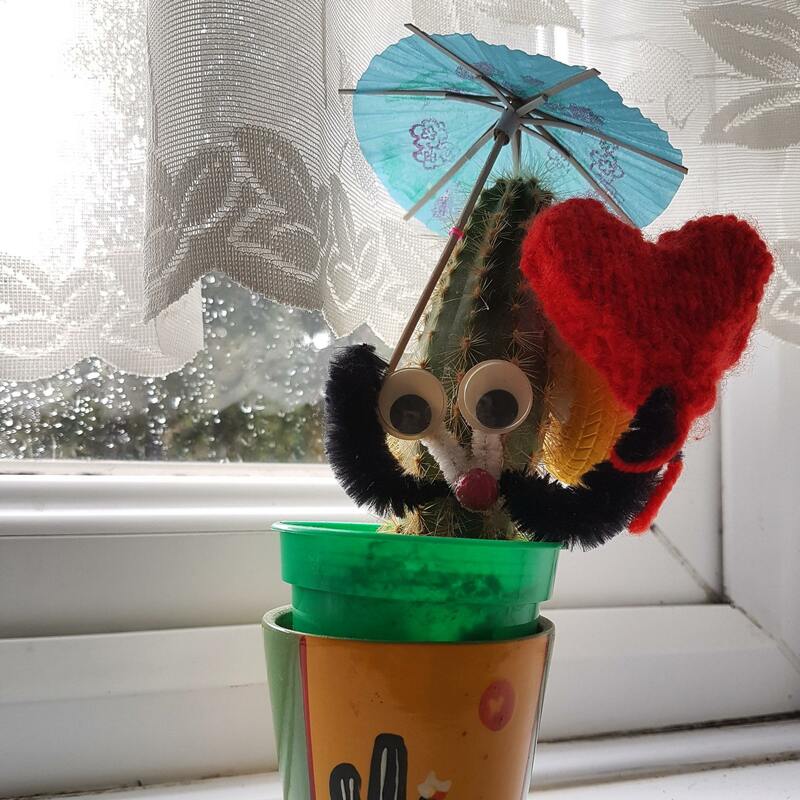 But because I had my cactus, things were okay. Somehow looking after something helped me to look after myself.